Tiger is a large cat species. They live for 20-26 years old. There number has diminished because of hunting. I like tigers, especially its color I have read some story that tigers skin are expensive in black market, maybe that is the main reason of their extinction. 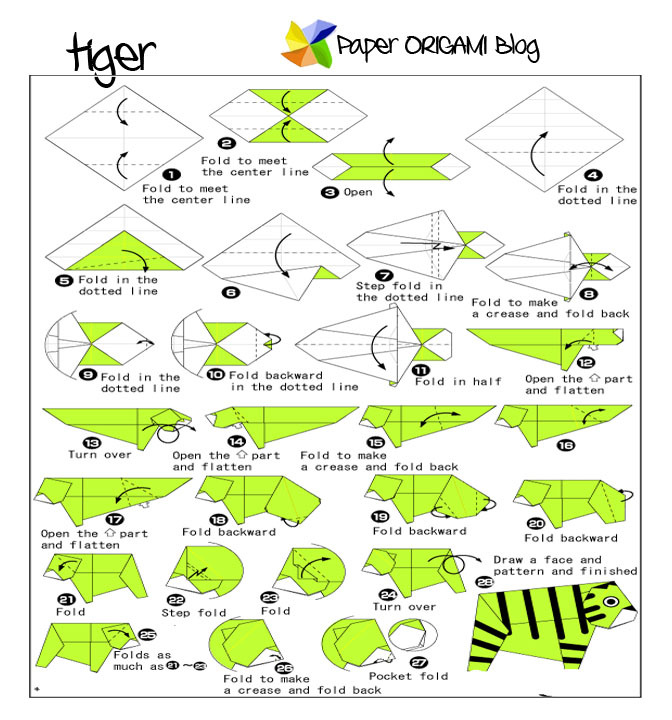 We can create and emulate the likelihood of tiger in Animals Origami. Here is the Folding diagram of Tiger.